ISIS Loses More Area To Syrian Army In Northeastern Hama (Map) 4.9583333333333 out of 5 based on 24 ratings. 24 user reviews. On January 30, ISIS lost the hills of Rasm Dahil and Tawilah to the Syrian Arab Army in northeastern Hama. On January 31, government forces continued their advance against the terroist group and liberated the villages of Al-Aww, Abyan and Jubb Zrayq in the same area. The entire ISIS-held area in northeastern Hama is not fortified singificantly. However, mobile units of the terrorist group still pose a significant threat to the army. This pocket must be eliminated without mercy. I hope Russia aerospace force gives strong support and protection to ground troops. I am sure they will have that support of the Russians. 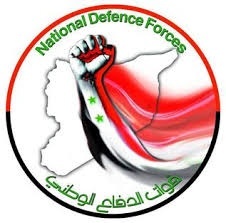 LONG LIVE THE NDF!! i guess the Mosad did n ot give them sufficient shovels ,etc??? I actually reckon that the number of actual ISIS members in that entire area is minute, rough estimate I would say 20-25% are IS and the rest would be Nusra defectors. Looking at previous maps and how the conflict has went is how I have come up with the percentage, you could presume that these IS militants might not have that will to stand and fight and once again retreat. I would say that the nusra part would be the more willing of the two to stand and fight as they have previous!